Shoppers purchasing fruits and vegetables in stores located in low-income neighborhoods in California may pay more for those fruits and vegetables than shoppers in other neighborhoods, according to a study that examined prices in a large sample of stores throughout the state. Published online in March 2018 in the journal Public Health Nutrition, the study, conducted by researchers at UC's Nutrition Policy Institute, involved more than 200 large grocery stores, 600 small markets, and 600 convenience stores in 225 low-income neighborhoods (where at least half of the population was at or below 185 percent of the Federal Poverty Level) and compared observed prices to purchased price data from chain grocery stores in the same counties during the same months. Shoppers purchasing fruits and vegetables in stores located in low-income neighborhoods in California may pay more for those fruits and vegetables than shoppers in other neighborhoods, according to a Nutrition Policy Institute study that examined prices in a large sample of stores throughout the state. The study found that produce prices for the items examined (apples, bananas, oranges, carrots and tomatoes) were higher in stores in low-income neighborhoods than the average prices of those items sold in stores in the same counties during the same month. Fruits and vegetables for sale in convenience stores in low-income neighborhoods were significantly more expensive than those for sale in small markets or large grocery stores. 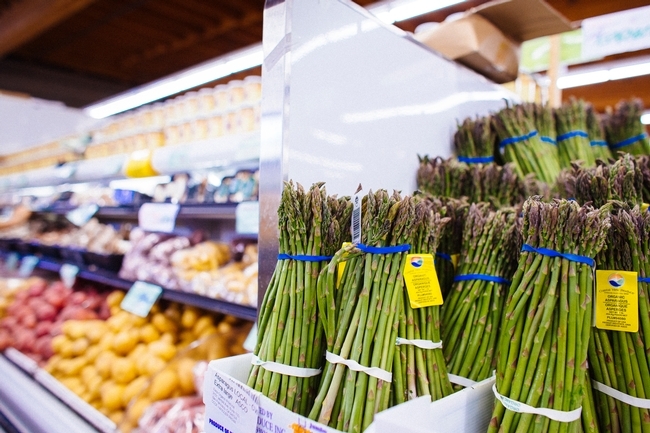 Yet even in large grocery stores the study found prices in the low-income neighborhoods to be higher than average county grocery store prices during the same month. Additionally, the study examined the quality and availability of fruits and vegetables in stores and found that while less than half of convenience stores (41 percent) sold fresh produce, even fewer (1 in 5) sold a wide variety of fruits or vegetables, and few of the items that were for sale were rated by trained observers to be high quality (25 percent for fruits and 14 percent for vegetables). “This study suggests that convenience stores in low-income neighborhoods currently fail to provide access to high-quality, competitively priced fresh fruits and vegetables," said Pat Crawford, nutrition expert and study author. “A healthy diet can prevent disease and reduce health care costs in the state. States need to explore new ways to help ensure that families, particularly those living in low-income neighborhoods where convenience stores are the only food retailers, have access to healthy, high-quality foods that are affordable,” Crawford added. The study also found that convenience stores participating in federal food programs (the Supplemental Nutrition Assistance Program [SNAP] and/or the Supplemental Nutrition Program for Women, Infants, and Children [WIC]) were more likely to sell fresh produce and to offer higher quality and a wider variety of fruits and vegetables than stores not participating in either program. The study was conducted under contract with the California Department of Public Health. Funding is from USDA SNAP. USDA is an equal opportunity provider and employer.